WORLD PREMIERE Italians Nino Corvato, Joe Centofanti, and Checchino Fonticoli are master tailors who have spent years perfecting all the skills necessary to construct flawless custom-made suits for their clients in NYC, Philadelphia and Penne, Italy, a fascinating process broken down step by step here. As they grow older, they fear their Old World knowledge will vanish with them. 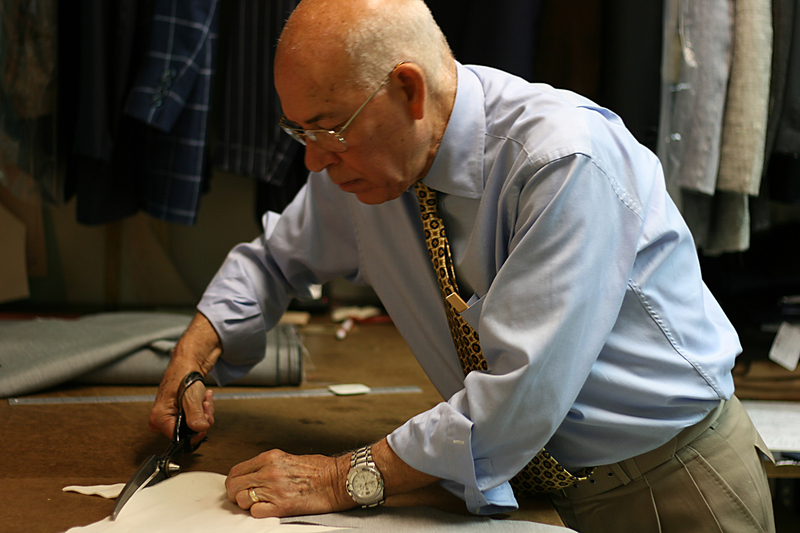 Enter Joe Genuardi, a tailoring apprentice who reflects the resurgence of popular interest in artisanal craftsmanship as an alternative to corporate mass production, providing hope for the future of the craft. NOTE: Both screenings are SOLD-OUT. Based on last-minute availability, a limited number of tickets may be released for sale 15 minutes before showtime on a first come, first served basis to patrons in the RUSH LINE. For other films about craftspeople and their work, check out TINY and other films in the Art+Design section.